It is the First World War and Susan Nell stands before the door of a private ward in a British military hospital. On the door she reads a single name. She knows that name. Sixteen years ago, during the Anglo-Boer War, she encountered that name in a concentration camp in Winburg. She lifts her hand to open the door. Her hand shakes uncontrollably. But she is a psychiatric nurse and this is what she has to do, bring traumatised soldiers back to the light. However, if this soldier is the one who sixteen years ago thrust all light out of you with his hips, it is not that obvious. Susan Nell hesitates before she opens the door, desperately uncertain – teetering on the threshold between life and death. 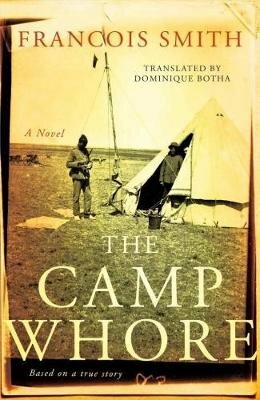 In The Camp Whore the resilience of the human spirit is weighed up against the equally persistent influence of trauma. It is a psychological thriller that will hold you in its icy grip till the very last page.